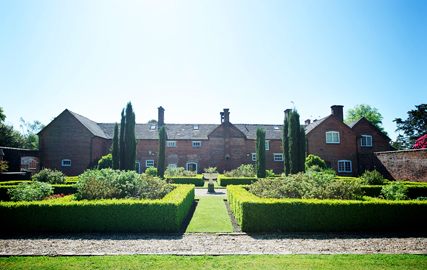 Guests are welcome to explore the extensive grounds at Yeldersley Hall, but be sure to allow plenty of time – there are twelve acres in total! 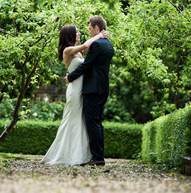 Our grounds include formal gardens, a kitchen garden, and a walled garden. 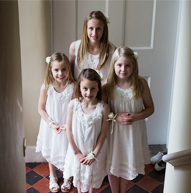 Within the formal gardens to the front of the house you will find lawns, mature rhododendron bushes, azaleas, a pond/rockery area and usually lots of rabbits. 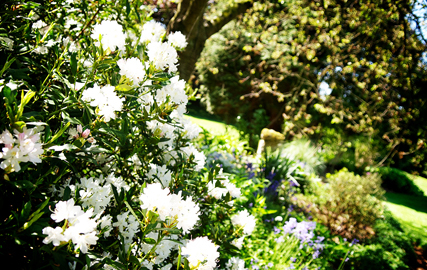 The formal gardens are at their very best in the spring, when they are alive with colour and wildlife activity. In addition, there is a kitchen garden of which we cultivate only a small part, mainly due to time constraints. 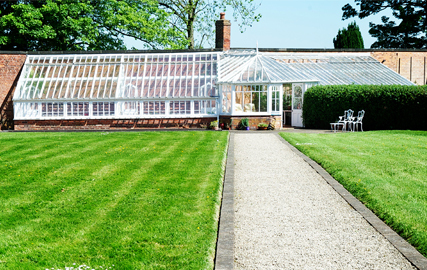 The kitchen garden contains intriguing Victorian greenhouses, which we restored when we acquired the property. These date back to the 1900’s and were described in some 1929 sale particulars as the ‘modern greenhouses’. 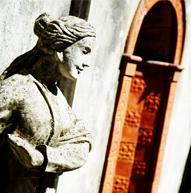 To the rear of the property, and overlooked by the Stable apartment, is the fabulous walled garden. 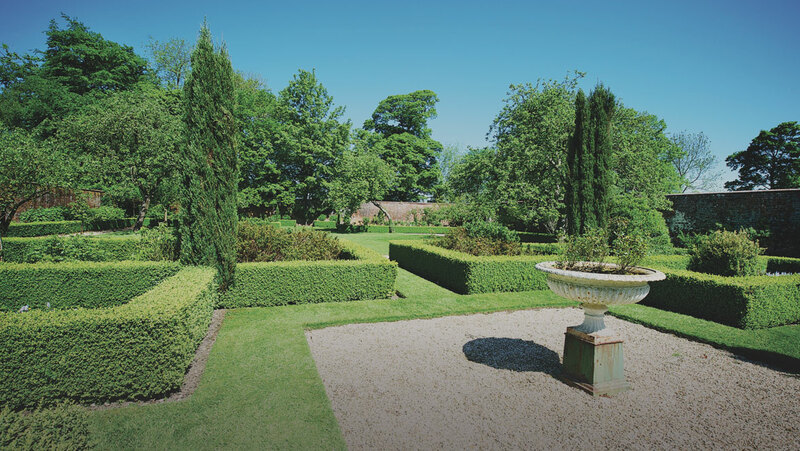 In the walled garden we have created an ornamental parterre, an orchard garden and a rose garden. 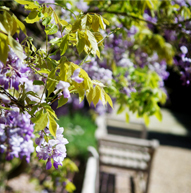 It is a space that is awash with vibrant colour throughout the summer months. 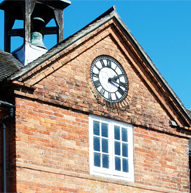 Guests can also visit the Clock tower, which contains a charming early 20th century turret clock by Smiths of Derby. Those with an interest in horses will see that it also houses a traditional tack store. Of further interest are the dog kennels, which are specifically mentioned in the listing to the property. They now are used to house chickens and sometimes pigs. 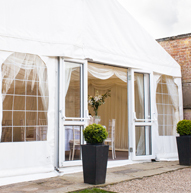 For the more energetic, a tennis court is available for use and we have spare rackets and balls, which guests may use. Croquet and boules sets are also stored in the laundry room. We have plenty of storage space in our old stables should anyone wish to bring bikes with them.